The cause of this disease is still unknown. The following symptoms are usually indicative of the ailment however. There are also treatments that are showing promise. The symptoms actually vary from person to person. The following signs are often reported though. 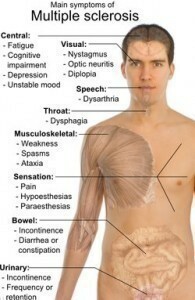 The major one is muscle weakness. This isn’t just fatigue or physical exhaustion. The physical state actually makes it very hard to even walk. 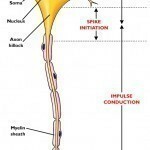 Other sensations are feelings of numbness or there are needles in various muscle areas. The pins and needles sensation can be accompanied by reduced eye vision. Some get blurry eyed. Others experience double vision. Other indicators are muscle stiffness, lack of balance and no body coordination. Other severe symptoms are paralysis, shaking, dizziness and light headedness. Some have difficulty speaking and bladder control is reduced. Besides the symptoms mentioned, a doctor will look for other confirmatory signs. These will include constipation and pain in the face or back. Extreme cases can cause blindness. The neurons may affect the person’s emotional state, so this will be evaluated as well. The medical history will be assessed thoroughly. A neurological examination will be done. This is to check the damage being done to the neurons and nerve system. A magnetic resonance imaging (MRI) is used to assay the condition of the spine. The lumbar puncture is also performed. Here, the cerebrospinal fluid is taken out and evaluated. If there are white blood cells, it may be indicative of the disease. The drugs available in the market don’t actually cure the disease. They are used to mitigate the pain. Currently, there is no known cure for this ailment. 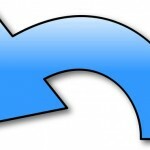 The drugs do help in reducing the relapses that take place. Some of the drugs also lessen the physical hurt the ailment causes. The other prescription drugs are used to limit the severity of the symptoms. Most of these drugs are given via injection. Some treatments are in the form of immunosuppressant medication. Some of these drugs need to be administered by a doctor. Needless to say, self medication should never be done. Treatment will include special forms of physical exercise. Occupational therapy is done to help the patient perform everyday activities. Patients are also taught how to better manage their bowel and bladder functions. Over the counter pain relievers may be given for back aches too. The cause of the disease is unknown, so prevention is still a matter of conjecture. However, a lot of the pain can be removed by taking the prescribed medication. In addition, good bladder hygiene is essential. Resting when the symptoms manifest is also recommended. The environment has been known to exacerbate the condition. Avoiding heat and excessive exercise is recommended. Stress reduction is also important in limiting the pain. Eating nutritious food is also suggested. The food you eat should be consulted with your doctor. There are several studies ongoing that are attempting to find cures for multiple sclerosis. Even though there is no known cure, the available medication can help reduce the pain. Definition Lou Gehrig’s Disease goes by the name Amyotrophic Lateral Sclerosis (ALS) is the progressive and sometimes fatal disorder. This kind of disorder attacks the nerves and muscles.